Are you a graduate of our Visual Facilitation course at UBC Robson Square? Have you taken any other courses with Stina Brown and/or me? 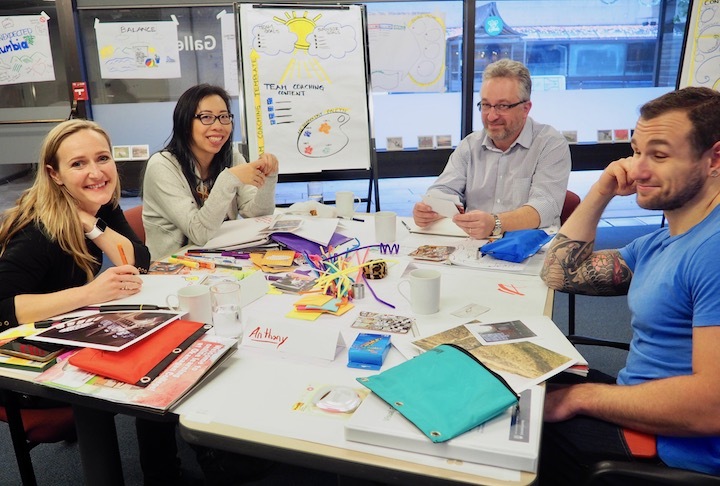 Are you a professional with previous visual facilitation training and experience? If you answered “yes” to any of the above, have we got a course for you! Stina and I are delighted to be offering Advanced Visual Facilitation, a new course at UBC that will build on the core competencies we taught in Visual Facilitation and take you deeper into both the application and philosophy of visual practice. If you want to take your visual facilitation skills to the next level and put them to work immediately on projects of your own, join us on March 1-2. Students in our last class said it was the most fun they’d ever had in a course while learning more than they had imagined possible! You can find out more details about our course on the Workshops page of my website, or go straight to the course description on the UBC website, where you can also register. « Registration is open for our upcoming course!